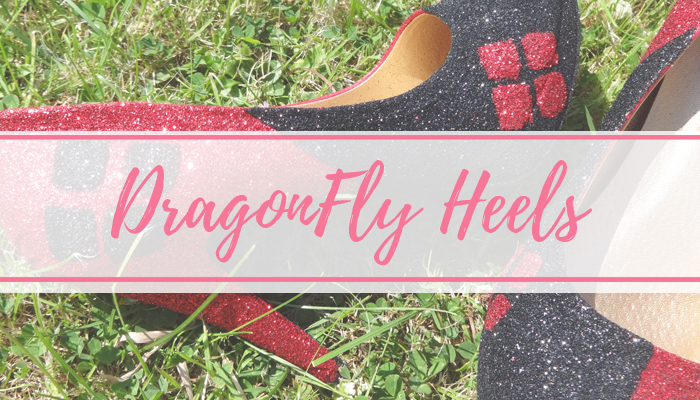 At MCM London Comic Con last year, I found this awesome stand of geeky related shoes from a brand called DragonFly Heels. A little company from Newquay in Cornwall, they have a store on Facebook to buy their goodies from. 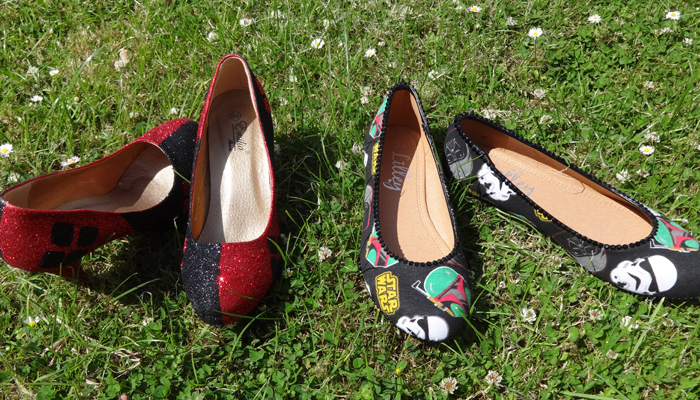 All handmade and customised, I fell in love. 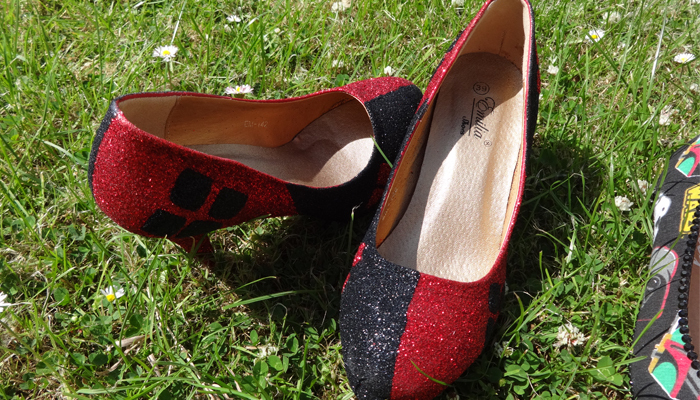 I didn't buy any on the Saturday, but by Sunday I hunted the stall down and bought myself some Harley Quinn glitter heels for £50. I love them and the fact they're designed like Harley's outfits! I started following them on Facebook, and I've also bought a Harley Quinn glitter bag to match the shoes, but I've put it somewhere in the attic and cannot find it for the life of me! 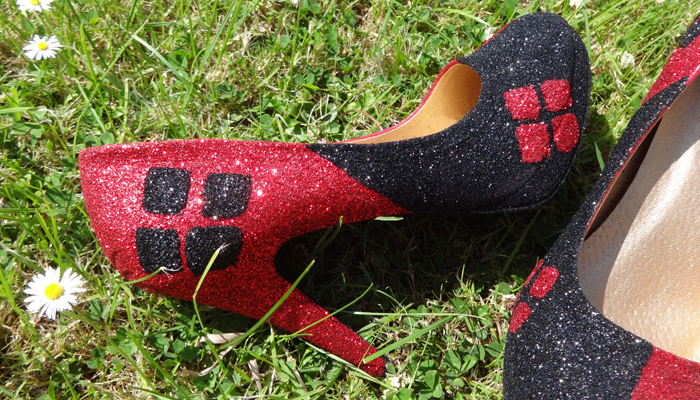 The bag was £25, and all customized too, just like the shoes. 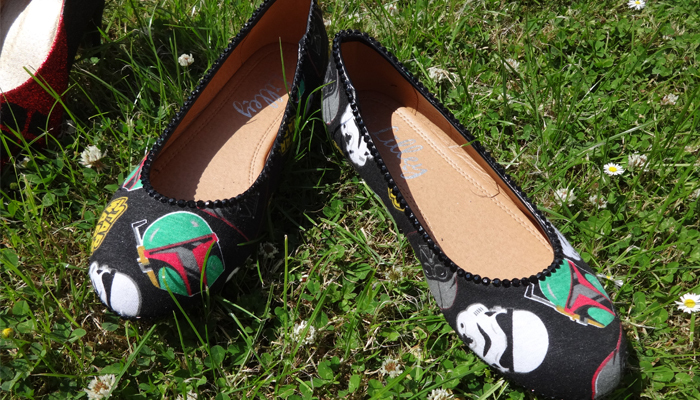 And then in May, they put up a picture of some Star Wars flats for 'May The Fourth Be With You' and I obviously had to get them! 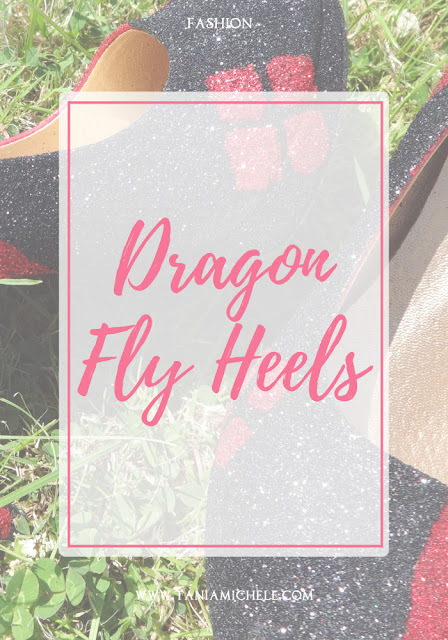 Due to them being flats, they are super comfy, and I can wear them with a lot of different outfits! 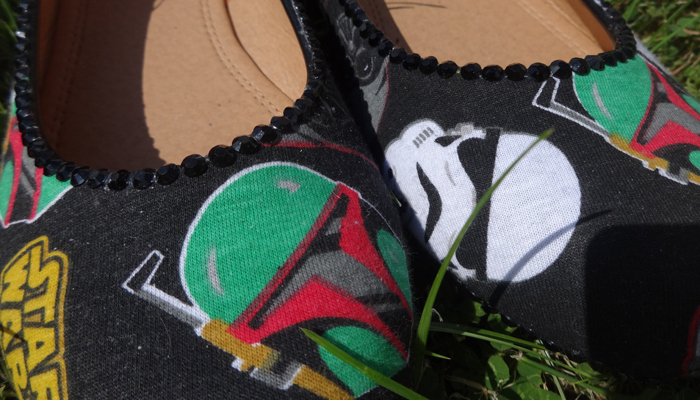 The design is mainly of Darth Vader, Bobba Fett, and a Stormtrooper. 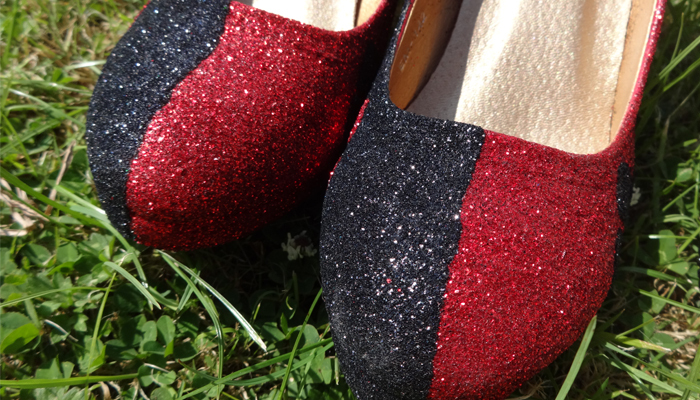 There are little studs around the edges of the shoes, adding a lovely final touch to the design. 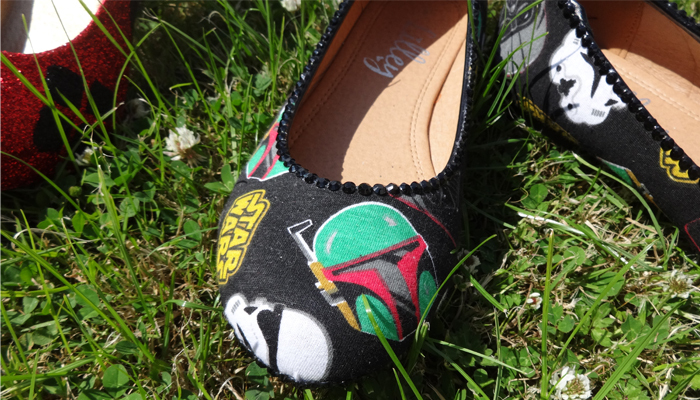 I've worn these a few times already and it so good to be able to have a sort of subtle nod to my geekiness!